For the tenth year in a row, Apple has become the world's most admired company. The ranking was created by Fortune, it is based on feedback from 3,800 reliable analysts, industry experts, executives and other specialists. 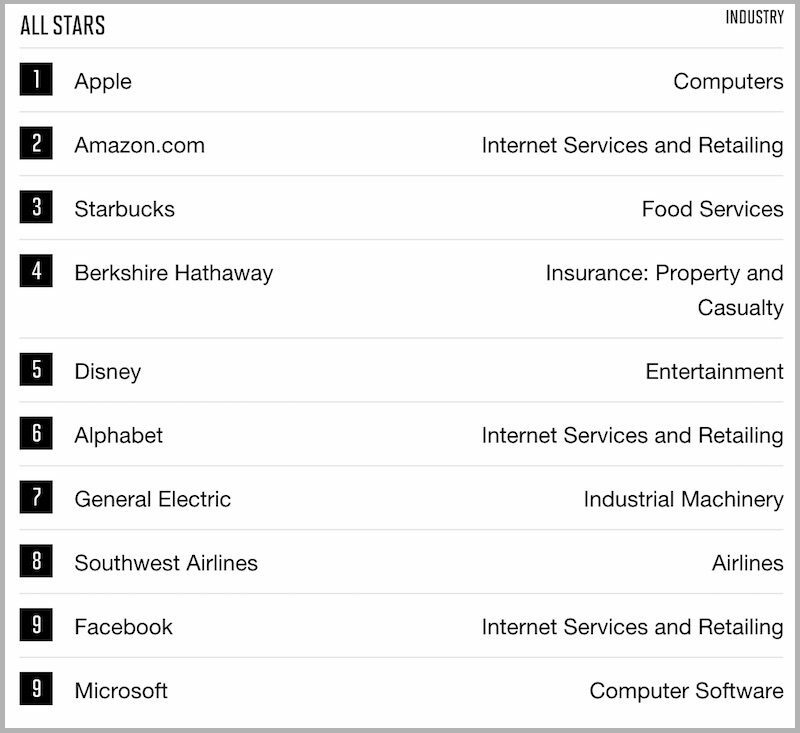 Such firms as Amazon, Starbucks, Berkshire Hathaway, and Disney follow Apple in the list. Interestingly, Google’s parent company, Alphabet, that was on the second spot one year ago, fell to the sixth place, while Microsoft and Facebook shared the ninth. According to Fortune, the rating is based on something called “key attributes of reputation”. These include quality of products and services, innovation, social responsibility, staff management, and other factors. Fortune selected 1,500 companies from the USA and other countries, ranked them by revenue and then cut the list to 680 companies from 28 countries. 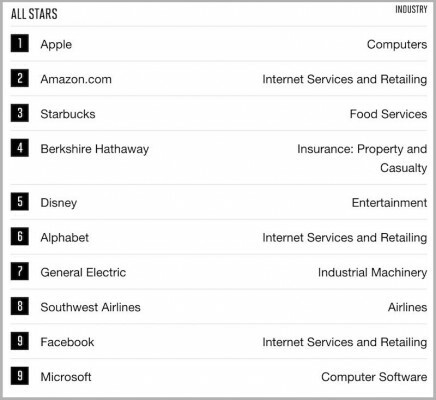 Afterwards, Fortune’s partner Korn Ferry Hay Group polled 3,800 experts to find the most admired company in the world.